So as you will end up eventually noticing on this blog, I really love plants. I can’t put my finger on what it is I like about them, but I think they bring a lot of life and decoration to a room. My apartment has a balcony, so naturally I have put a lot of plants out there! 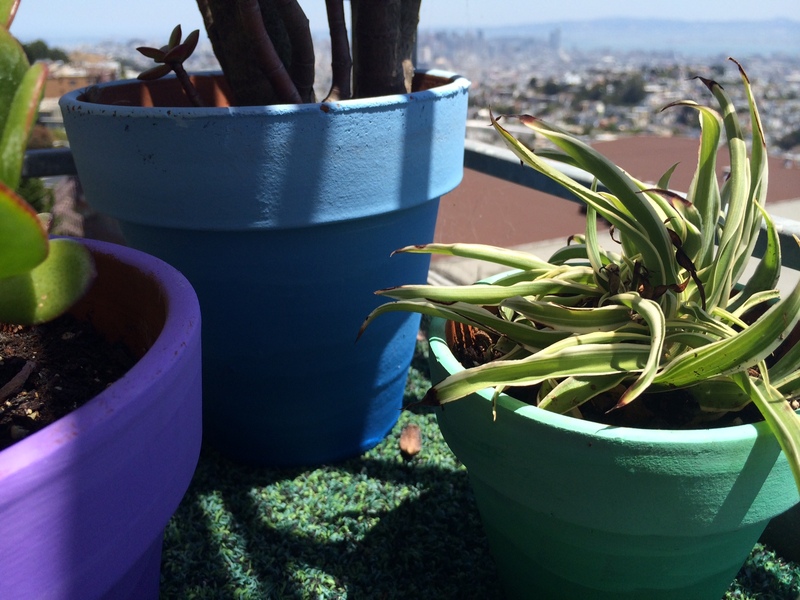 I was looking for an easy way to spice up the pots I have outside, since decorated pots can get fairly expensive, and I’ve been resorting to mostly terra cotta ones because they are super cheap. 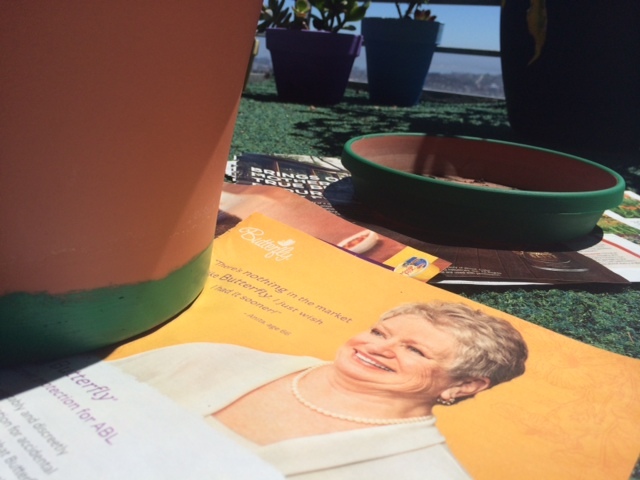 However, having all terra cotta pots can get a little boring! 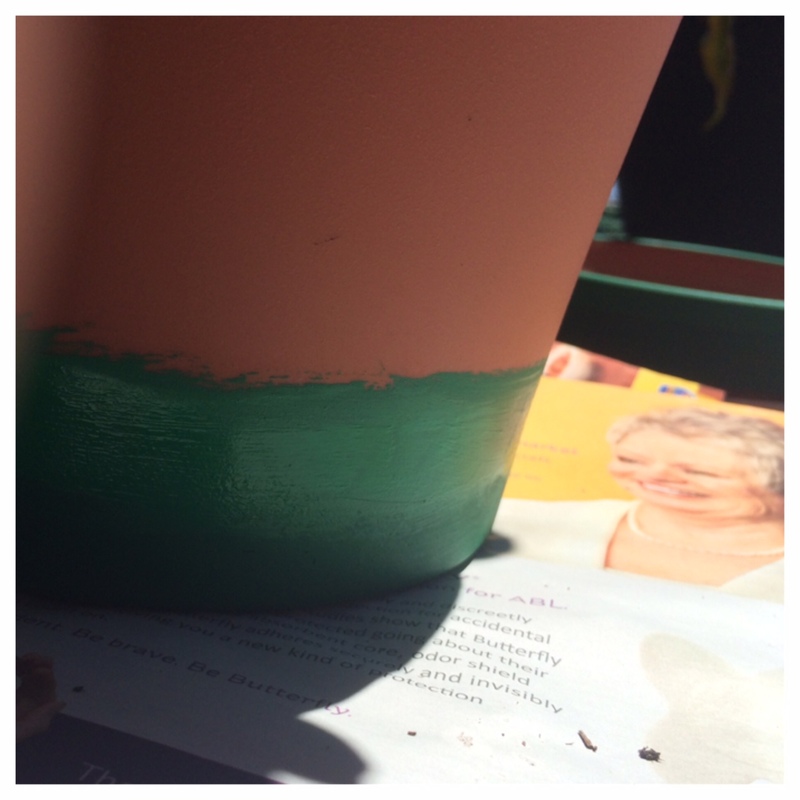 I’m sure that I saw this idea when cruising along Pinterest at some point, but I came up with the idea to spruce up some of my smaller terra cotta pots by giving them an ombre paint job. It’s fairly easy and you definitely don’t have to be an artist to do it. 1. 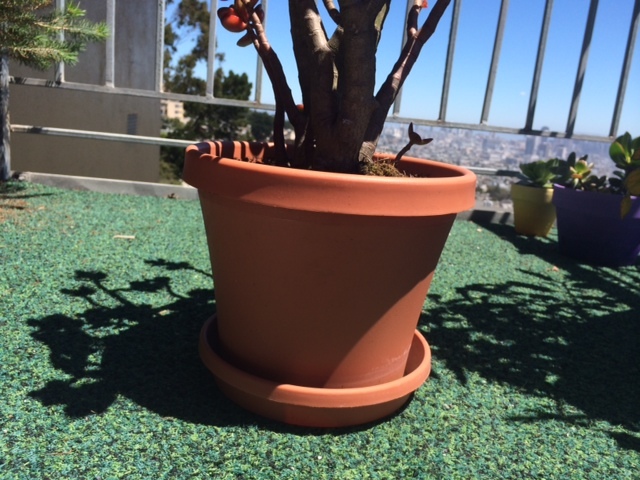 Begin with a plain terra cotta pot (this one is actually plastic, but works just the same!). Lay down newspaper. 2. 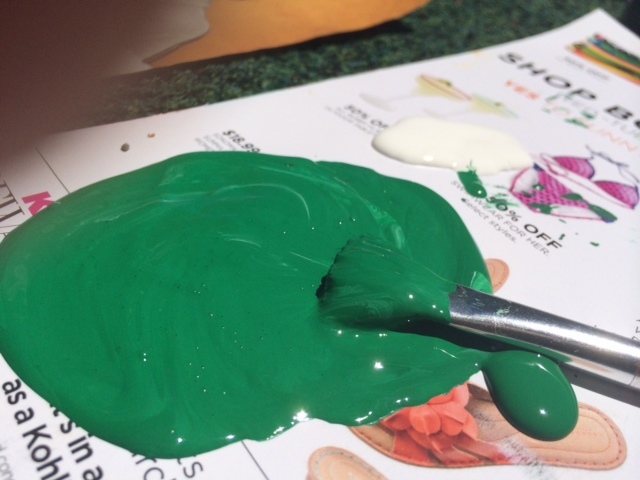 Squirt out a dollop of colored paint and white paint onto the newspaper. 3. 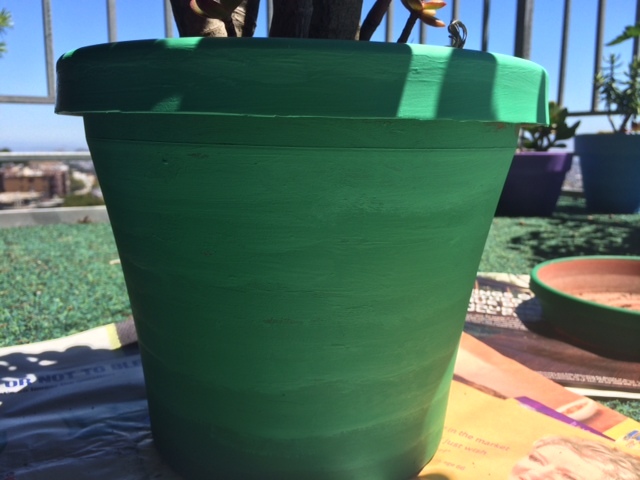 Paint a ring/line the first layer of the colored paint around the bottom of the pot. 4. 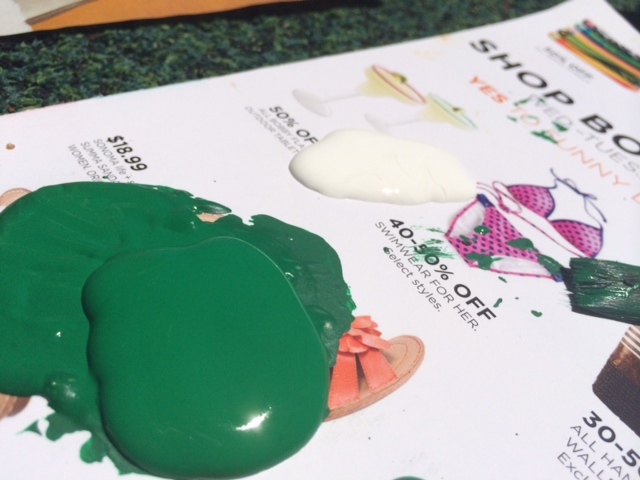 Add a little bit of white paint to the colored paint and mix. You might have to add more white paint or colored paint depending on how light/dark it gets. You’re aiming for slightly less than a shade lighter. 5. Paint another ring right above (and every so slightly over the top of) the the previous ring. 6. Repeat adding paint to make a lighter shade and painting above the previous ring until you get to the top. 7. 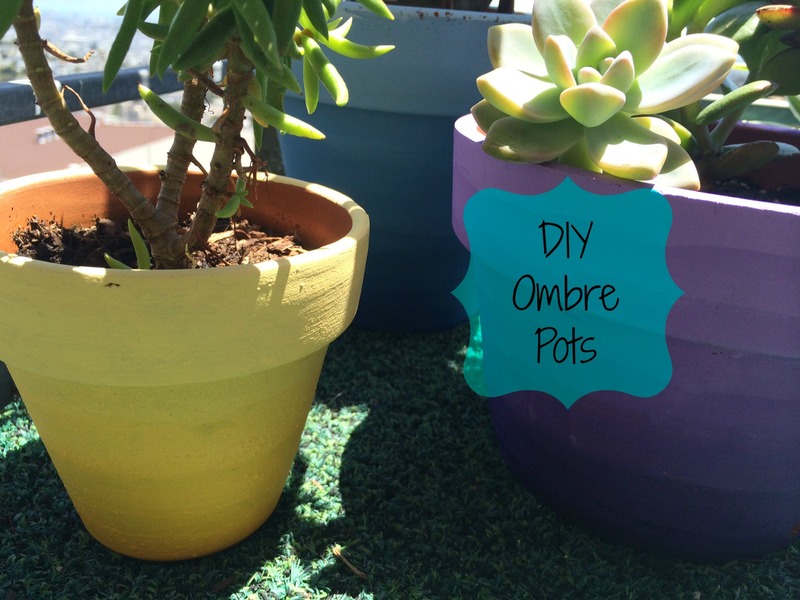 Let dry and your pot should have an ombre shade to it!